Independent Higher Education is the UK membership organisation and national representative body for independent providers of higher education, professional training and pathways. Independent HE works to promote, support and enhance the independent tertiary education sector: lobbying for positive reforms to the regulatory and operating environment; working to share good practice and raise standards in the sector; and helping members to overcome challenges to succeed in the market. 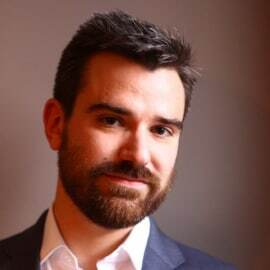 Alexander has led Independent HE (previously 'Study UK') since 2011, after five years as communications manager at the British Accreditation Council and three years in IT. Alexander also has a keen interest in international education, serving as a trustee of UKCISA (the UK Council for International Student Affairs), director of the campaign group Exporting Education UK, and member of the Government's International Education Council. A strong believer in the importance of higher education and lifelong learning, he has studied languages and music in the past and recently completed an MA in philosophy at Birkbeck College, London.